Kao Pao Shu is the artistic vision of European designer Naida Begeta. Developed originally in Naida's hometown of Sarajevo, Bosnia, each intricately handcrafted item is conceived from the desire to create pieces that are unique, elegant and functional. 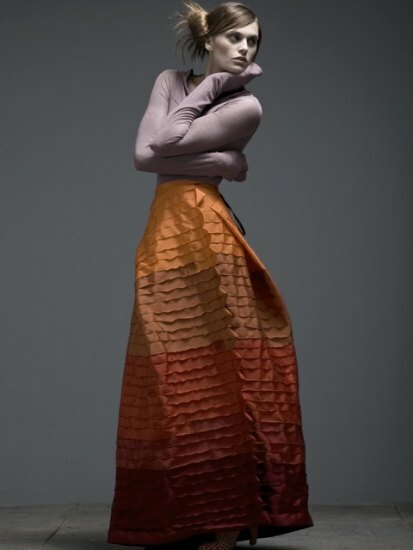 Graduating in 2004 from the University of Sarajevo's Academy of Fine Arts, Naida began to establish herself as a designer while migrating to and from Milan and Sarajevo. 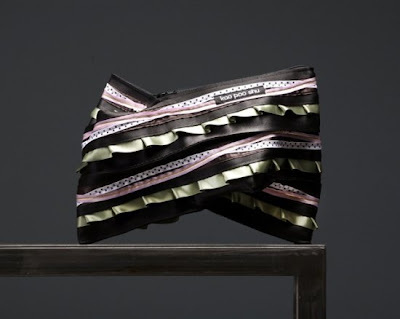 Beginning with only a few ribbons of fabric, the first handbags were sewn by Naida, as she was unable to find anything that suited her personal style. 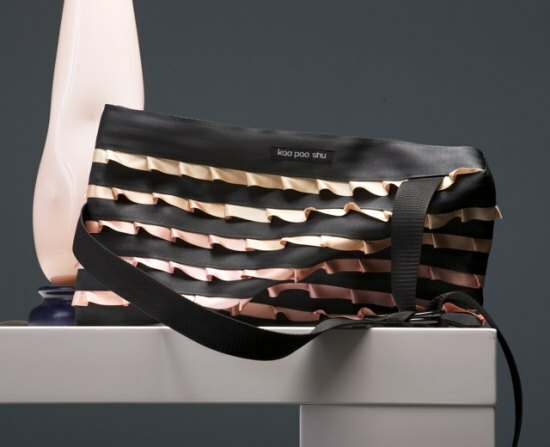 Today, Kao Pao Shu is located in Santa Monica, California, and had evolved into a full clothing and accessories line. The exquisite line uses fabrics such as fine Italian jersey, silks and unique poly-blends. Pieces are defined in geometrical shapes, playful and uninhibited, breaking the rules of the traditional orientation of fashion. The Kao Pao Shu collections and store are named after director-producer Kao Pao-Shu who is best known for directing Kung Fu cinema. From the parties with Dice and Dice in Japan to being seen on the red carpet in NYC, world is getting around about the beautiful lines of Naida Begeta.